Discussing her new poetry collection, Gold & Other Fish. Michael T. Young: You indicate that the book, 77 Great Fish of North America inspired some of the poems in Gold & Other Fish. Were there other sources of inspiration for the collection? What were they? Hilary Sideris: I’d written a series of poems based on dictionary definitions of four-letter words, and I started thinking about the word “bass,” with its various meanings and connections to depth, and then, as I discovered, to the word “kiss.” That led me to pike, and I got very caught up in the tactile language around fish and fishing—I imagine the same thing happened to Hopkins when he described the landscape’s “pied beauty” and the tools of human industry—he must’ve fallen in love with the words: “fold, fallow, and plough;/And all trades, their gear, and tackle and trim.” It’s almost as if he’s praising the language itself. Michael T. Young: I particularly like the poem “Monk.” It applies grace to a moment of a predator killing his prey. So it inverts what we expect when looking at such a moment. How do you define “grace” and how does it work in the context of the collection here? Hilary Sideris: Monkfish are terrifically ugly animals. But the way they do their work is admirable—full of grace. They hold their caught prey with what looks to us like great patience, before they swallow it whole. I enjoy the contradiction in our love for its sweet flesh and our deep disgust with its appearance. Michael T. Young: The collection as a whole made me think of our sanitized relationship to predation, how we try to pretend we are above it. Did you have this in mind while writing some of the poems and what are your thoughts on it? Hilary Sideris: I grew up in a very conservative, evangelical Christian atmosphere, so I spent a lot of time trying to make sense of all the human and animal suffering I saw around me. I fought a lot—physically fought—with my siblings as a child and adolescent. I remember when I was about sixteen, going to school with two black eyes, which I tried to cover up with make-up. My youngest sister, Lisa, is an environmental ethicist. She’s written about what Christian theologians make of “nature red in tooth and claw.” I think we’re both driven to write about predation and violence because of what we experienced as kids in a very aggressive and religious household. Hilary Sideris: It was fun to use Shakespeare’s language, but I was more focused on the fish as a symbol of vulgar sexuality, and the implied revulsion in the use of the word “bacalao,” which is something I overheard (spoken in Spanish) in the classrooms of South Brooklyn as a young high school teacher. In Ariel’s song the body, through drowning, “suffer[s] a sea-change/into something rich and strange” but there’s also the sea-change of adolescence, when the female body becomes an object of lust, fear and derision. Hilary Sideris: Yes, but the nice thing is that these selves or aspects of the psyche tend to emerge when you don’t set out to find them. Writing is kind of like fishing. You use your tools—your language—to try to catch something. With this series, I found that by not trying to write personally or autobiographically, by borrowing the language of biology and fishing, I would often catch something very personal, very true to my own experience. Michael T. Young: What led you to decide on four tercets as the form for these poems? Was it a conscious decision or something that came organically and then you decided to stick with it? Hilary Sideris: It’s hard to know the difference between what happens organically and what’s volitional. I think the tercets happened organically, but maybe I willed them into being. I tend to write either in couplets or in tercets, but tercets seemed to work better because there was so much enjambment and slant rhyme going on. Michael T. Young: Do you have a particular poem or several, in the collection that are especially meaningful to you? Which are they and why? 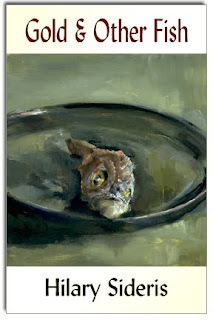 Hilary Sideris: I’m fond of “Sturgeon” and “Red Snapper”—“Sturgeon” because of its humility, and its ability to exist in several worlds, the salt and the fresh, the kosher and the traif. I also identify with the Sturgeon’s ancient immaturity. “Red Snapper” is a sadder story about being seen through human eyes, being labeled and managed—“under our auspices”, which is to say, doomed. Michael T. Young: Your poems are highly compressed, like Kay Ryan, Charles Simic or Louise Bogan. Who do you consider your most significant influences? Hilary Sideris: I’m a fan of Theodore Roethke and Philip Larkin. I like poets who write in the voices of people from particular places. I love Ellen Bryant Voigt’s Kyrie, D. Nurkse’s Voices Over Water, and Maurice Manning’s A Companion for Owls. Michael T. Young: Are there any prose works that have noticeably influenced your work as a poet stylistically? What are they? Can you say in what way you feel this work or works influenced your poetry? Hilary Sideris: I don’t know about influence, but I loved Lydia Davis’ books Break It Down and Almost No Memory. When I was young I was crazy about writers like Salinger and Vonnegut who wrote short, punchy sentences. Now I’m more drawn to the Elizabethan—David Milch’s Deadwood comes to mind. Michael T. Young: What are you working on now? Do you have another overarching subject like fish set for your next collection? Hilary Sideris: I wrote some poems about Renaissance artists, based on Vasari’s Lives, which was really fun. Then I started reading stories about saints. I’m working on a saint sequence right now, and trying hard to avoid being clever. I’m fascinated by how illogical and successful Christianity has been. Gold & Other Fish. Hilary Sideris. Gold & Other Fish is Hilary Sideris’s third poetry collection and her second collection with Finishing Line Press. The 20 poems in it are all named for fish and though each poem distills the essence of these fish with a beautifully compressed lyricism, they are not mere portraits. It is not just a collection of nature poems. Humans enter the picture from the beginning and return throughout as hunter, cook, eater and this leads us beyond mere observation into deeper questions. whose spine ends in a lure? Our moral judgments and our secret desires mix to blind us to the simple grace of what it means to be a predator, to the actual beauty of it. Our moral high ground is here inverted and we are the dupes of our own needs, lured to feed on a scavenging fish. Here it is not simply the assonance of “hard” and “dark.” There is a phonetic connection running from “hide” through “history,” a beautiful transformation that arcs and joins it all together from “seek” and “brackish,” through “world” and “hard” to reach finally through “dark” and “devoid.” This kind of brilliant phrasing runs through the whole collection, mirroring the flash of a fish leaping from the water for a moment to plunge back into the depths. The final poem, Tuna, leaves us with the real focus: what we, at a distance admire for its beauty, is at its core an act of survival. It is sometimes difficult for scientists to determine the specific function of beauty, but whatever it might be, they know that beauty serves a purpose: it helps a species in some way to survive. Gold & Other Fish shows us that even our connection to predation is in some way connected to beauty and grace. Most collections have some small flaw, some small deviation from the goal, but not this one. It’s the kind of collection that is a pleasure from first to last, delivering aesthetic and intellectual enjoyment. What Sideris says of the Sturgeon, these poems do, they forage “at the interface” and bring brilliant gems to the surface. But then I read a poem like “Not Singing.” The first real issue I had with it was the line “the more it rains the less flowers there are.” The “less” grated on my grammatical nerves. But I’m a poet and willing to forgive such things if the music and insights of a poem really take me in. Also, poets shouldn’t be slaves to grammar. If they need to break a rule, they should, especially when it serves a better end than following rules. There’s even a figure of speech for such things: synesis. That’s when you break a grammatical rule in order to make sense of a statement which correct grammar cannot carry. I looked and looked but found no justification for Gregg’s departure. So I moved on, trying to give her obvious intelligence the benefit of the doubt. Then only two lines later she writes, “Like the branches thrown down before the little donkey feet/of Christ on the way to glory.” Suddenly I had the image of Christ as a satyr with little donkey feet. Again I stopped to consider if she really wanted this image in my head. Nothing in the rest of the poem or other poems indicated she would want to create such an image. Then why the truncated phrasing that led to it? I could only conclude that it was sloppiness, an imprecision that might be more subtly entrenched in the other poems. And to adopt Dickinson’s definition of poetry (my favorite definition), I realized that none of the other poems made me feel as if the top of my head were taken off. From then on I found myself less tolerant of other imprecisions: line breaks that forced me to reread a sentence to make sense of it, or splitting up a phrasal verb as in “turn on one foot around with my arms lifted,” rather than simply saying “turn around.” In this second example, the phrasal split doesn’t add anything to the poem and, in fact, makes the line feel chopped up, like bits of thought that have been cut up and put in the wrong order. She also uses periods excessively, resulting in sentence fragments. In the same poem with the split phrasal verb, she has the sentence “Between tobacco fields empty in February/except for the wooden stakes and the wires.” This sentence – actually a fragment – modifies the sentence that precedes it but is punctuated to make two separate sentences. She does this often, and it is a common technique among modern poets. In deft hands it works, sounds right, it's a way of controling rhythm. But Gregg’s use of it constantly makes me feel interrupted. I searched for the reason behind such a tactic, but neither her subject matter nor her rhythms necessitate it. She may be trying to convey a sense of hesitancy and doubt in the psyche of someone wounded by divorce, since much of her poetry is about that. But so many of the poems embrace the fragmentation and, in fact, assert the fragmentation as life itself, that the strategy is belied by the themes. I had every intention of rereading these two collections for the poems I did like, “Goethe’s Death Mask,” “With a Blessing Rather than Love Said Nietzsche,” “Lovers,” “Alma in the Woods,” and “Different Not Less,” but feel in the end glad to put the book down and be done with it. I feel the whole is diminished by the flawed details. There is an imprecision in the poems that leaves me lukewarm, even when they are obviously deeply felt. One of the striking features of Louise Bogan’s poetry is how little of it there is. Another is how short those poems are. No more than twelve of her poems are over a page long. Even when compared to the modest work produced by poets like Elizabeth Bishop, Barbara Howes and Philip Larken, Bogan’s body of work is small and her poems short. Yet her voice is as powerful as her vision is unique. These are the first traces of a pursuit encompassing most of Bogan’s poetry: the pursuit of a concept of the eternal different from the deification of female beauty and also different from the projection of the mind or will into infinity. The search for a new concept of the eternal was common to her time in poets like Rilke, H.D. and Wallace Stevens. However, more radically than any of these poets, Bogan sought to find a concept of the eternal that outstripped the mind’s tendency to create a mere projection of itself and especially to outstrip the heart’s tendency to find false comfort. The mind and the heart are both temporal. The eternal endures far beyond either of them. It is a landscape that excludes them. In an apostrophe to her dead brother she says she can reassure him that everything endures, “save of peace alone.” We are forever restless and suffering the grief of things passing away. The heart wraps itself tightly for protection, so tightly, in fact, it suffocates itself in the body. More cleanly than a thorn. Or a wise thing so young? This also applies to Bogan’s style. Her poems are slight and strong like the homunculus. Her typically short lines are slowed and tensed by clusters of equally-stressed monosyllables. Reciting Bogan’s poems out loud the voice strains, thrown to a pitch very near to breaking. Her lines burn with the rage to endure, with the fury of what it means to suffer. You look upon the air. Her most forgiving poems, like “Cartography,” “Musician,” and “Roman Fountain,” move with the pressure and caution of someone in a laboratory. Enjambed lines encumber the heart with all it must bear. At other times they mirror the heart’s withdrawal before its new vision of the eternal, the “permanence of the impersonal.” The phrase is Richard Eberhart’s but easily could have been Bogan’s. Her poems attempt to reveal a world beyond the heart and beyond the eyes. Few poets have so thoroughly conceived of a universe that doesn’t include them. But “the heart’s time” is all we know. A world whose essence is the absence of a witness cant’ be revealed. So the comfort offered by a poem like “Night” isn’t accessible and, paradoxically, that inaccessibility is offered as comfort. The limits of Bogan’s pursuit are its realization, the limits of exclusion itself. One cannot avoid comparing these limits to those that Cartesian science set by factoring out human perception from its picture of the universe. The Nobel Laureate Alexis Carrel said, “Science has made for man a world to which he doesn’t belong.” Perhaps Bogan paid a similar price for a correspondent poetic vision. Her own vision excluded her. Her own voice tended toward silence. We are left with but a small sampling of her nearly perfect experiments. A Shiny Unused Heart is a novella written by a poet, or perhaps it’s more accurate to say by a novelist with a poet’s sensibility. This is not straight narrative, but a story propelled by language itself, by sound and simultaneous meanings, by an undercurrent of symbolism. To read of the main character’s wife on her “bruising cruising rituals of couch sleep”, or the main character “resting on his back, his skin monstrous tracks. Leaning on the bricks of buildings, subsiding. The rain, in continuum, begging him off, early every next morning” is to follow a kind of musical score. And even in these few bars, these few notes, we catch the drift of a very different kind of story, not one in which there are events that simply happen or characters that simply act, but a story that questions what events and actions are. At bottom A Shiny Unused Heart is an ontological meditation, that is, a poetic fiction on the nature of existence. This is seen even in the musicality of the prose, for within each chapter or movement the music is beautiful, but the movements are jumbled. One of the great poetic truths retold by countless great poets from Spencer, Milton and Blake, to Stevens and Richard Wilbur, is that “The mind is its own place, and in it self/Can make a Heav'n of Hell, a Hell of Heav'n” (Book I, lines 254 & 255, Paradise Lost). This is the basis of many of the great modern works from masters such as Virginia Woolf, Hermann Broch and Fernando Pessoa. A Shiny Unused Heart is a part of this same exploration, a story that takes place in the head, where we are made and unmade, where the reality of what didn’t happen or what we would like to happen has as much presence and force as what did happen. This is so because the mind, or the imagination, is a kind of primordial place where all potentials coexist. As the main character of A Shiny Unused Heart indulges his inner desires within his imagination, he unravels the reality of his daily life: matter and antimatter collide. The poet Philip Larkin said, “Nothing, like something, happens anywhere” and A Shiny Unused Heart is the nothing that happens to a person in the act of his unwinding, his unbecoming. The story is a stripping down, not only of character, but of style and psychology. No one is named in the story and no one should be because we are on a plane on par with essences. Here again we see how the boundaries are blurred. “That girl” is daughter, wife and also the woman he cheats with who is called “the girl in the black sweater.” All are “becoming unbecoming.” All are “peeling, peeling” because the story is one long unmaking, one long un-existing. The story is about the main character’s slow un-happening. And it is remarkable how well it works, how the general drift of the story is understood below the current of discordant unmaking. The story seems to emerge slowly from a larger general flow, a stream of essences chaotically mixed and pregnant. From the vast drift of this river, we spy a fish swimming, we follow it with our eyes and realize the story playing out under the flashing surface. But don’t be mistaken; though this is a profoundly philosophical and lyrical book, there are emotional roots that run deep. There are issues of fatherhood and the consequences of failing to live up to that role, the disillusionments of a fractured relationship and the constant pain of regret. The pain of the marriage dissolving is like witnessing someone dismembered with a butter knife. It is a place within, where, Blake told us, all gods reside. And it is a terrifying place. Here it is important to realize the connection between the daughter and the woman in the black sweater. They are first and final causes, one and the same figure leading him into his impossible grasping at the primordial chaos, the root of imagination. The German poet Friedrich Hölderlin wrote that “wanting to see the soul face to face, you go down in flames.” This is what happens to the main character of A Shiny Unused Heart. He fixes his gaze on the chaotic source and is dissolved in a violent unmaking. But the boundaries, as I’ve said, blur here. The penultimate chapter is simply the sentence “A baby is born, a baby is crying.” The main character’s potential redemption is mixed in among the bottomless bottom of potentials that consume him and thus his death is paralleled with the birth of another life. In the primordial chaos out of which all things emerge, his daughter is there reaching out toward the light of existence. And who is to say if his daughter wasn’t, in fact, born and outlived him? There is no certainty where existence is all potential, at the threshold of death, which is the same threshold as life. It is only a question of the direction one is traveling. A Shiny Unused Heart is the kind of story we should read. It is the kind of book that cracks the shell of what we think we know about ourselves and our lives and lets us escape into a new understanding of how we relate to the world. It shows us that we are not only the consequence of our choices but the consequence of all our hidden desires, that we are simultaneously what we say we are and what we refuse to acknowledge in the dark, secret land of our imagination. To invent a theory of reading would be an intellectual gesture commensurate with a tyrant's salute. It is taking an experience that is highly private and coercing or presuming its commonality. However, I imagine that those who enjoy reading at least have in common the enjoyment without coercion or presumption. This delight is the first and most important principle. Without enjoyment there is no understanding, at least not in the literal sense Webster renders the etymological meaning of the word. To understand is “to stand among.” But what is disliked is avoided. One avoids repugnant company but one "stands among" delightful company, becomes a part of it. One loses one's self in it. This moment of abandon to the enjoyment, whether of literature or another art, is one half of the total function of art. It is a moment of self-transcendence that leads ultimately to the other half which is a deeper self-awareness. On my bedroom wall is a postcard. It is a miniature reproduction of a painting called "Reader." It is by a German painter by the name of Michael Sowa. It depicts the small, mid-distant figure of a man reading. His hands are thrust into his pockets. The book levitates in the air at eye level, suggesting that it, like its reader, has transcended its physical nature. It defies gravity. The man too defies gravity. He stands atop the thick, oily blue water of a sea that stretches from horizon to horizon. Threatening, white-crested waves rise all around revealing the intensity of wind. The man is oblivious and unaffected. He is secure in his book. The great dangerous expanse of the seascape is nothing to him. The very words he reads protects him against the elements. He is as confident as Christ astride Gennesaret. 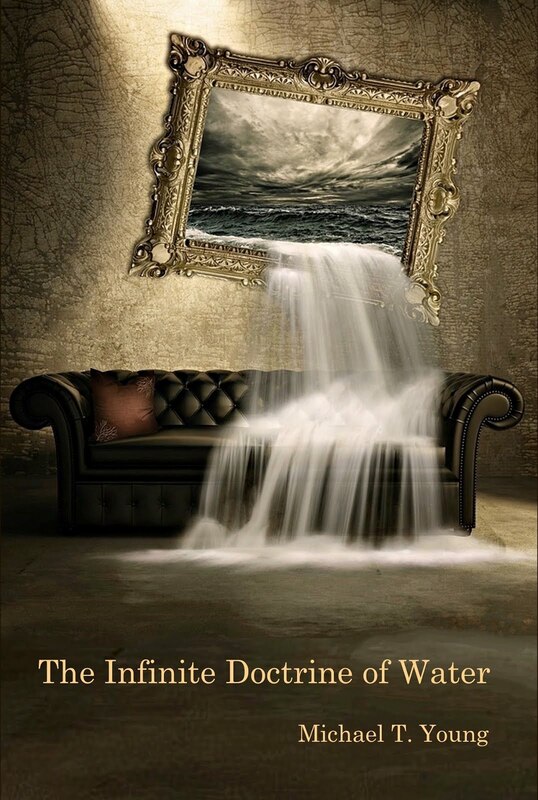 Of course, one can interpret the water as symbolic of the unconscious. Yet this only intensifies the realization of the reader's complete absorption. He is unaware of his actual surroundings, which probably are a study, a porch, or maybe even a beach where people play volleyball only a few hundred feet away. Time passes and he doesn't notice. The light of late afternoon dims into the early evening, then dims into the darkness of night. He doesn't notice. He grows hungry and doesn't notice. One might say he is out of his senses except for the fact that he is highly concentrated, highly aware. What has happened is that the timing of his own day has been replaced by the timing of the book he reads. The Russian poet Joseph Brodsky said, "Song is, after all, restructured time." I would take this a step farther. All art, whether poetry or otherwise, is an embodiment of a certain timing, a certain rhythm. The difference between time and timing is the difference between when your alarm clock goes off and when you actually wake up. Timing is the pace at which you move through the day. The "morning person" moves at a different tempo than the "night owl." And what these two perceive in their world and what they make of it will correspond to the pace at which they move through it. Even if they live in the same neighborhood, they will see and understand that neighborhood differently. In The Republic, Plato notes that the modes or rhythms of music in a given city never change without a corresponding change in that city's laws. Although the uses to which Plato puts this insight have been heavily disputed for centuries, the insight itself is nonetheless a remarkable one and one generally accepted. The insight is that the pace at which one moves manifests itself as a philosophy, as a way of understanding the world. Rhythm is a kind of wisdom. Losing oneself in a novel, a painting, a piece of music is to lose one's own rhythms in those of the artwork. It is to get hungry and not notice, to actually grow tired, have an itch, or have your foot fall asleep and not notice. Then you finish the poem, the novel, or the essay. Your stomach growls. The digital clock winks to an unreasonably late hour even though you are the "morning person." But you still haven't emerged completely. The world looks different from the last time you glanced at it. The angles and curves of the furniture in the room appear strangely sharper, more distinct. It is as though one's sense of perspective were heightened. You are still looking with the eyes of the narrator of the book. It is what a friend of mine calls "book shock." It is the other half of the total effect of reading. It is the return to the self, the moment of self-awareness or self-remembrance. This "book shock" doesn't happen with all books and for any number of reasons which this essay isn't about. What is important is that the experience doesn't depend upon whether you agree or disagree with the work or author. My own most extreme experience of this was after reading the novel, The Recognitions, by William Gaddis. The novel depicts many pitifully twisted characters, most of whom deceive themselves as much as they deceive others. The sense of their pain and desperation is pervasive. But no description of the novel will impart what I experienced for more than a week after reading the novel. I saw people differently. I was acutely aware of the self-deception in others and in my self. Eventually my own way of seeing returned. My own rhythm of living came back to me. But from the vantage point of having read the novel, I gained a perspective on other people and myself. It is not a way I typically live. It is not the rhythm of my walk or the tenor of my dialogue. The novel's assumptions and rhythms are ones I find unfair and unforgiving. However, a rhythm is not truth. It is only a means to reveal truth. So I carry this rhythm from the novel in my head and sometimes a person will say something or gesture a certain way and remind me of the tune, of some character from The Recognitions or some event in it. There are even times I will say or do something that stops me in mid-motion because I am reminded of the insights granted through the perspective of the book. I wonder, "Have I fooled myself all this time? Has my desperation blinded me to such an obvious self-deception?" Through the book I have gained a perspective on my own motives and intentions. For those who spend their energy trying to locate the meaning of a text either in an author's intentions or motives, this way of reading will appear strangely to leave the author out of the equation. I'm not suggesting that learning about an author's life can't enlighten one's understanding of his work. However, the majority of books available to us are by authors who are dead. Whatever intentions or motives these authors have are now only real to us through the works they've left behind. They are embodied only in the rhythms, diction and syntax of the actual work, just as unconscious activities are typically "read" from someone's body language and inflections. This way of reading is admittedly lofty. It is not the way one reads everything, especially not instruction manuals or road signs. But reading is a private experience and the way one reads is equally private. We all come to a love of reading under different circumstances and for different reasons. Those differences will manifest themselves in how one reads and what one reads. But for all that privacy, the one thing all avid readers share is their delight. This delight is the seduction that leads to insight, a greater understanding of oneself. In an essay called, "The Necessity of Poetry," Paul Valéry said the same thing. He wrote, "art gives us the means to explore at leisure that part of our own sensibility that remains restricted in its relation to reality." As I have suggested, this is true in spite of what a text means. If a person who delights in reading reads a book he disagrees with, the common delight of reading counterpoints his disagreement. That counterpoint is a kind of reconciliation with the rhythms of the self and is manifest as a deeper self-awareness, a profounder understanding of who one is and how one lives. I recently heard poets discuss line breaks and assume that they are easier in free verse than in formal verse. This seems logical since you can break a line anywhere in a free verse poem but in a formal poem line breaks are fixed. However, I would argue that the freedom to break a line anywhere makes it a more onerous task to find the right one. What purpose do line breaks serve in poetry? The primary purpose is to control pacing, which in turn contributes to the overall musical effect. Line breaks also help to emphasize or deemphasize the significance of a theme or element of a theme. Line breaks help create tension or drama or, contrariwise, create ease and comedy. This is all true whether in free or formal verse. But nearly everything else is different. With most formal verse line breaks are fixed. That is, with a standard sonnet, you have five feet to complete your line. After the fifth foot, there will be a line break, whether that line is enjambed or end stopped will be a consequence of syntax and diction. What image will be lingering in the mind of the reader as he makes his way to the next line will be determined, again, primarily by how syntax and diction shape the line toward its fifth and final foot. What will confront the reader at the beginning of the next line is also controlled by these two elements of syntax and diction. Manipulation of these two elements is really the only way a line break in a formal poem can be adjusted. I have written and published a number of formal poems. One thing I learned is that the meter, or more generally, the rhythm, can guide you to the right syntax and diction, or at least to the right syntax. (Diction is not as intrinsically related to rhythm.) The difficulty of line breaks in a formal poem is when the rhythm clashes with the semantic need for significant terms to fall at the end and beginning of lines. But as often as not — or actually more often than not, the rhythm guides the poet to the best syntax for good line breaks. Rhythm, pacing and line breaks play off each other so intimately that one can lead you to the other if you can't concentrate on all three at once. In fact, when I write formal poems, I am primarily led by the rhythm; all the other elements are conjured from it almost as if by magic. This is where a poet writing free verse is at a disadvantage. In a free verse poem, the line breaks help control the pacing as in a formal poem, however, the line breaks aren’t fixed. The breaks can be made anywhere, theoretically, but to make the best musical effect, they can’t be made haphazardly. It’s important to remember that the total musical effect is not just a consequence of the rhythm, but is the relationship of every element working in concert: the grammatical structures, the syllabic structures, the phonetics, the syntax and diction, the images and ideas. It’s how all these elements relate to each other and unfold. As a regular practitioner of free verse, I find myself constantly revising lines to find the right line breaks. Sometimes I hear them right off and sometimes I don’t. When I don’t, it can take me weeks of trial and error to find the right ones, especially because the syntax and line breaks are independent of each other, unlike in formal verse. In a free verse poem, I could have the right syntax but the wrong line breaks. In a formal poem, if my syntax doesn't create good line breaks, the pacing will be off and I will need to change the syntax. There is an intimate connection among these three elements that can guide you. There is no such echolocation in free verse; all these elements are independent and must be heard distinctly and simultaneously to get them right. Who Teaches You What You Mean? I am a poet and therefore obsess about language. How language is constructed and what those constructs mean and imply occupy a lot of my thinking. Because of this obsession, the novel 1984 strikes me as the greatest book written about the abuse of language. True, it is a novel about political power and oppression and is a warning of a kind to those of us who take a free society for granted. But the way that political power asserts itself is primarily through the power of language. The abuse of language in the novel comments inevitably on the right use of language and ultimately has something to say to the role of the poet in our world. Oppen here distills the competition between language used as a means of the most profound existential realization and language used as a means for commercial manipulation. When we acquire our language, our expressions, our definitions from corporations and the commercials they make, then the language we have for expressing our deepest feelings or insights, our ideas about who we are or want to be, is shaped by them, at least to the extent that they – excuse the word – repurpose language to manipulate us for quite specific ends and in so doing, distance us from other associations. One of the primary ways the Party in 1984 controlled language was to diminish the number of associations related to any given word. This was attained by various methods. But this same diminishment is, in Oppen’s poem, what causes the man to be unable to find the words to express his inner being, the reality of his life. As I said in a previous essay about Oppen’s poem, “The man trying to speak the meaning of his life has no language to speak it. It is unreal because politics and public life have appropriated it for ends other than an existential dialogue.” This is precisely what the Party in 1984 does. Another of the methods for controlling thought through language is to reduce the number of words. The Party eliminated the word “bad.” They used, instead, “ungood.” This sounds farfetched but even today it isn’t uncommon to find an attitude of relying on a limited vocabulary for expression or assuming the superfluity of the abundant synonyms in English. However, in reality subtle denotative shades and deep connotations make words like “evil,” “miscreant” and “villainous,” though synonyms, all different from each other. Additionally, meaning is not merely semantic or intellectual, but is also emotional. The many associations and feelings a word or series of words evokes make even the closest synonyms still different from each other. Then consider there are many words in foreign languages that signify feelings and thoughts for which there are no English equivalents. What do we do with those thoughts and feelings? To assume they will be expressed in some way in the existing language is to make a dangerous assumption. In fact, I would guess that most of those feelings and thoughts go unarticulated, because it takes more than an act of will to find the right words to give them shape, it takes knowledge and the willingness to take risks, to sound foolish or even crazy. But if, as Jefferson said, “the price of freedom is eternal vigilance,” this holds true also for safeguarding language and ensuring that its growth and change is for the expansion of articulation, thought and meaning. Newspeak also attempts to reduce ambiguity. Here especially I see the playground of the poet because it is precisely at the edge of linguistic clarity that poets live and breathe. We have all had feelings we couldn’t put into words or thoughts that we just couldn't express. That’s because the range of human imagination and experience is greater than the range of our existing language and this is likely always to be so. That’s why there will always be poets and other artists trying to give shape and articulation to those very feelings and thoughts, those human experiences that haven’t come into the range of our history because we haven’t been able to document them in any way. That’s why poets are always toying with the obscure, not to be evasive or sound smart, but to get at something that’s just out of reach, to extend the light of articulation just a little farther into the darkness. This is the worthiest use of language and one that opposes other uses such as TV and magazine ads, billboards, the news media, and all other forms of mass production or corporate manipulation. It is not a self-righteous call to arms; it is simply the natural consequence of two opposing uses of language vying for control of a singular consciousness. I recently finished reading 1984, one of many classics on my to-read list. I had what I’m pretty sure is a common experience in that I thought, as I read, that anyone who sees this as merely a science fiction novel doesn’t understand it. In fact, as O’Brien tortured Winston and explained the nature of reality from the point of view of the party, I recalled words from a senior aide to the Bush administration. It was unnerving how similar their thinking was. Here is the paragraph from Ron Suskind’s article “Without a Doubt” published in 2004. But I tell you, Winston, that reality is not external. Reality exists in the human mind, and nowhere else. Not in the individual mind, which can make mistakes, and in any case soon perishes; only in the mind of the Party, which is collective and immortal. Whatever the Party holds to be truth is truth. It is impossible to see reality except by looking through the eyes of the Party. Well, for the few people out there who follow this – “fit though few” as Milton said – I decided I should start trying to keep this blog going a little. Instead of insisting that I must always and only post completed essays, which is prohibitive, I’m going to include updates on readings, publications and random thoughts on art, poetry, history, music, and anything else that I simply find interesting. I can only hope you find it interesting too. It’s been so long since I’ve posted anything, that far too much has happened to post all at once. 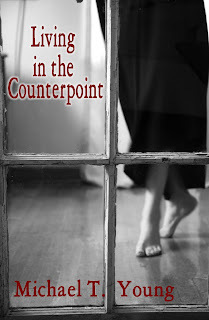 But to begin with what’s happened in my publishing life, my next 2 books have been accepted for publication: Living in the Counterpoint will be published by Finishing Line Press in January. This book is available now for prepublication purchase on their website: http://www.finishinglinepress.com/NewReleasesandForthcomingTitles.htm. I will here confess that I’m nervous about this period of purchasing. From now until November 10th, the number of people who order will determine how many copies will be printed in January. It is a nail-biting affair to receive e-mails of sales on a weekly basis and see how few have come in. Sadly, I have a long way to go. But my nerves aside, I’m very pleased with the cover. The photo was provided by my friend, Kaitlyn Chow. 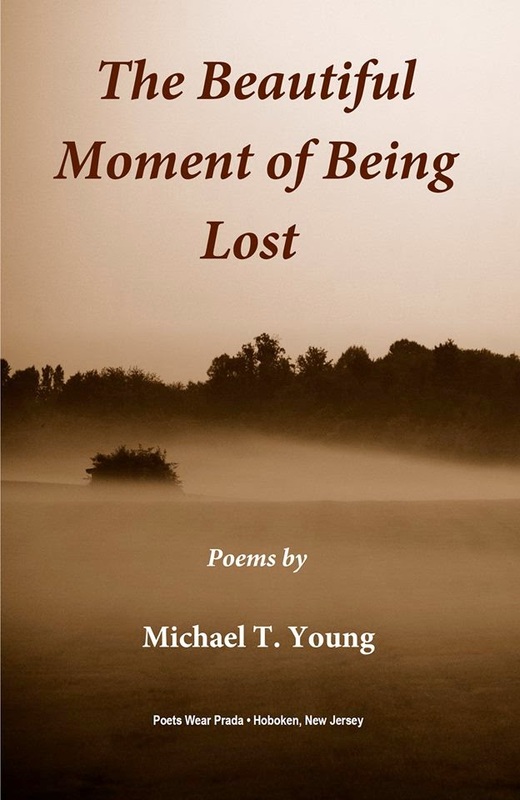 My next full-length collection, The Beautiful Moment of Being Lost, will be published by Black Coffee Press in 2013. It’s listed on their website under their imprint, Eight Ball Press: http://www.blackcoffeepress.net/shop/page/6?sessid=VBfK8qiGV1UzGi4VrtyR8KLHcJzKCBpuAAj4urE9wByNr7wbwT8COTYreCj1LNPK&shop_param=. In addition, many poems have recently been accepted for publication in print and online journals. 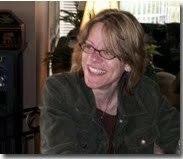 The Potomac Review, Off the Coast, Edison Literary Review, Mayday and Eskew all took work recently. I’m currently in the online journals: Scythe, The Literary Bohemian, The Fine Line and Jellyroll. Links to them are below. My poem “Counting Apples” will be in the forthcoming issue of Meadowland Review. Well that’s a brief update of the year. Next week, I will try to post something more interesting than a laundry list.